When you’ve got your period, there’s no need for it to be a huge hassle – however busy you are. 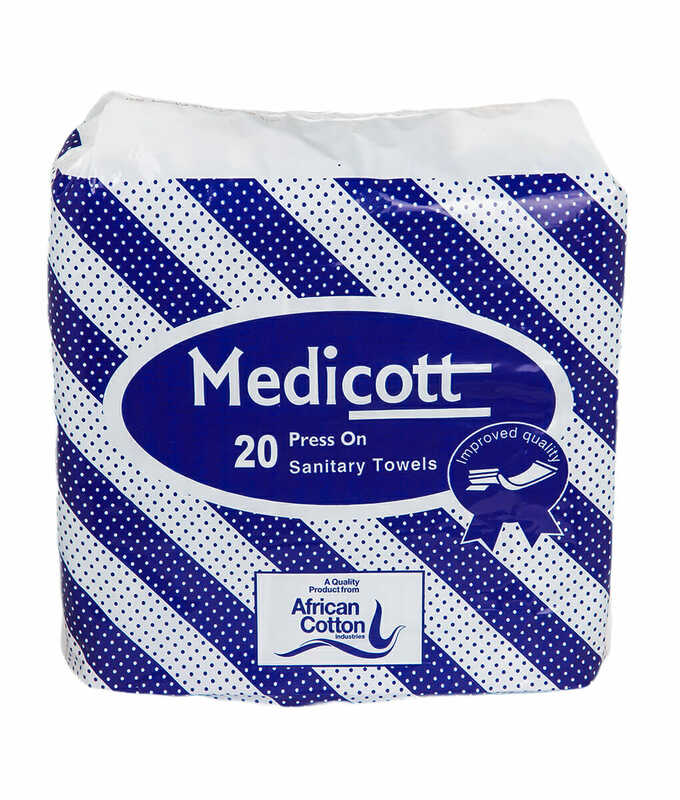 As long as you’re organized and have the right sanitary towels with you when you need them, you can take menstruation in your stride. With Medicott Press On Sanitary Towels, you get easy to use portable sanitary gear that ensures you have the right protection with you just when you need it. 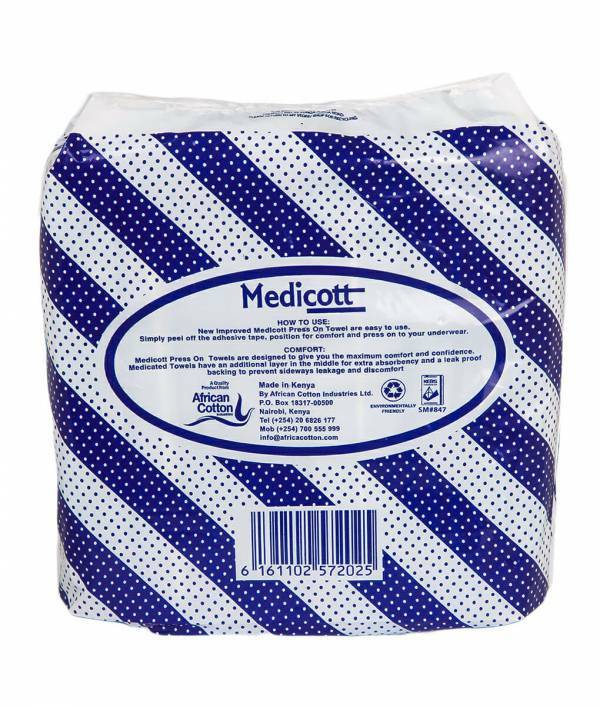 Medicott Press On Sanitary Towels is made with 100% organic cotton and come in a regular form-fitting cut for maximum convenience. They’re also free of synthetic fibers, fragrance, deodorant, dyes, chlorine bleach, latex, parabens, and formaldehyde. 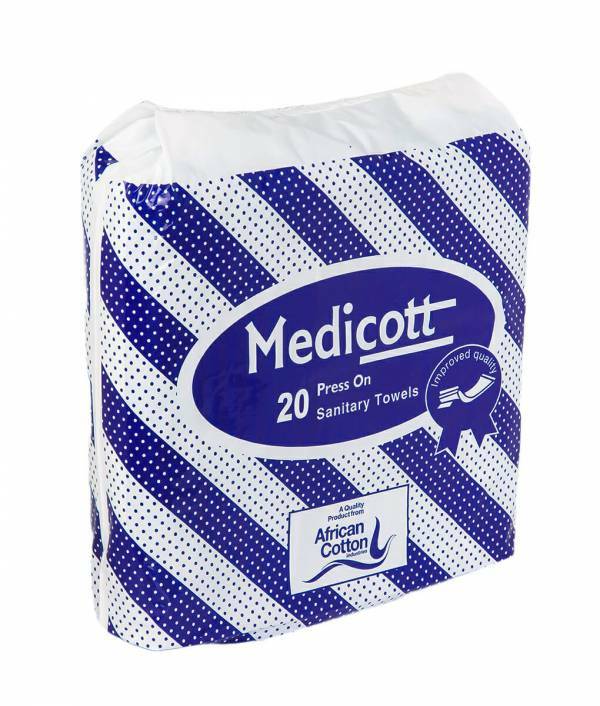 For easy portability, the sanitary pads come packaged in a small, dainty pack that you can easily fit in a purse or bag so you always have enough protection to last you through your most active days. Recommended for day usage, Medicott Press On Sanitary Towels with wings are ideal for light to moderate flow (depending on your needs and underwear size). Use Medicott Press On Sanitary Towels and experience effortless comfort and guaranteed protection through your cycle.